This educational laptop features multiple modes which make it a versatile machine in any classroom environment. The Lenovo 300e is very affordable and features durable 360-degree hinges and a spill-proof keyboard. Kids can be tough on electronic products, so Lenovo engineered the 300e to be durable enough to withstand just about anything. Internal drainage channels protect the keyboard from spills. The four modes include Tablet, Stand, Laptop, and Tent. Students and teachers can use the Active Pen to draw, take notes, and work out diagrams directly on the 11.6-inch display. Thanks to pin-point accuracy, palm-rejection technology, and precise pressure sensitivity, a natural writing experience is ensured. You don’t have to be involved in the education sector to enjoy the Lenovo 300e. It’s now available for everyone. If you don’t want to invest in a full laptop and just want the ability to check email, edit documents, browse the web, and draw with a digital pen, then this is a great choice. With the spill-proof keyboard, reinforced hinges and keys, and rubber bumpers, it’s a durable product that can last for a long time. The 300e weighs 3.19-lbs and measures 11.83 x 8.36 x 0.92 inches (HxWxD). As durable as it is, it’s still light and compact enough for easy mobility. You can carry it around with you on the bus, at school, work, or anywhere else you go. Stay connected to the internet with the latest wireless technologies. For connectivity there are two USB 2.0 ports and an HDMI slot, which will allow you to connect the notebook to a larger display if the 11.6-inch screen isn’t big enough for your needs. Use the USB ports to connect peripherals such as your smartphone, external hard drive, or external mouse. When in battery mode, you can expect this tablet / notebook hybrid to last for up to 8 hours. A 45-watt AC adapter is included for the AC power. 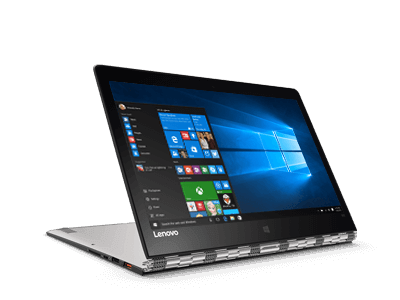 Additional features of the Lenovo 300e include a micro-SD card reader, 720 HD camera / microphone, audio combo jack, and Kensington lock slot. Perhaps the best thing about it is that it is so affordable. Hot deals are usually available at Lenovo’s online store. There are general discounts as well as laptop specific promo codes. Just read the details to ensure that you can use it. Use a Lenovo 300e promo code when placing your order. Posted in Laptop Reviews, Lenovo Laptop Reviews, Lenovo PC Reviews and tagged laptop, lenovo, lenovo 300e, lenovo laptop.